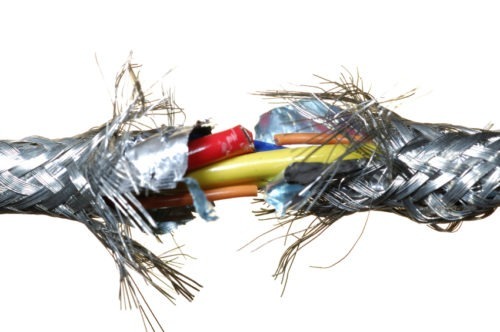 Faulty wiring can amount to many different forms of claims and can be very complex. For example, if you are electrocuted and the electric current jolts your body backwards into an object which then causes further injury. Or perhaps if the jolt forces you off the side of a railing on a flight of stairs, in which case you may be able to claim further injury claims. Electrical wiring safety can be a very complex area of Personal Injury Law and it is important to seek legal advice as soon as possible. Faulty electrical wiring can cause electric shock and electrocution. Electric shock can be experienced when a driller drills into a wall with incorrect wiring blueprints, or when an electrician put in the wiring incorrectly and you received shock by normal usage. Electrocution is when the electric shock is fatal. There are many circumstances where people may be able to claim compensation. For more information, please visit our Defective Product Claims page. If you have received an electric shock and as a result want to make a claim for faulty wiring, please get in contact with one of our specialists. At Bloomsbury Law, we appreciate that it may be difficult to discuss the recent event surrounding your injury. This is why we have an ethos of professional compassion. We will work with you and answer any questions you may have so you have a clear understanding of your claim.